If you are involved in marketing your business, or would like to engage with your audience better through visual posts, you need to know how to use infographics in your content marketing strategy, and make the most out of the tools available. Below you will find a few little-known facts about infographics and their use in internet marketing. While you might think that infographic designs are complicated, they are in fact easy to master. You can take advantage of online tools that will give you various layout designs to choose from, as well as graphics to accompany your graphs, text, and data. There are various infographic design tools available on the internet that you can use to try to master the process. 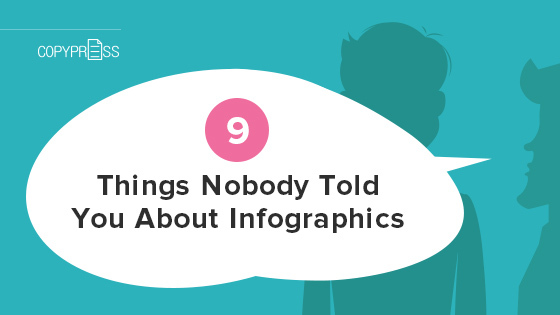 Many people believe that infographics are simply presenting statistics and facts. While they are based on verifiable information, they are also a perfect tool for promoting your brand. Many new businesses use this tool to position themselves in the marketplace as experts and provide value for their audience. You can create an infographic about your latest awards, achievements, list the benefits of your product or service, or provide a useful guide on how to make the most out of using it. Apart from being visually appealing, infographics can increase your brand value and communicate your unique selling proposition. One of the best features of infographics is that they make complex problems easy to understand, while also telling a story. They logically explain a process, a product, or even an internet marketing trend. They are presented in a way that the information is easy to comprehend, and the illustrations (images, gif, or animation) can help people remember the facts and figures easily. Whether you are a landscape gardener trying to explain how to care for a lawn, or a legal company guiding your readers through the process of starting a limited company, you can use infographics to simplify the steps and provide a logical flow for your content. An infographic is more likely to be read from start to finish, as it is able to capture visitors’ attention and hold it through graphics and charts. They are also very easy to share, and — according to some sources — up to 30 times more likely to be consumed than an article. 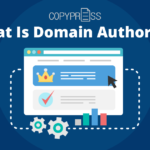 If you would like to get your message across quickly and effectively, create an infographic version of a popular article, blog post, or white paper, and you’ll see the results clearly. 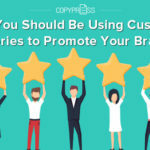 While articles, blog posts, and other forms of content marketing are useful, you will sometimes need to spruce up your website and tell your brand’s story in a different way. Used well,infographics can help present your company’s vision, values, and mission in a brand-new way, generating not only interest, but customer engagement, as well. You shouldn’t forget, however, that every infographic should be based on facts, and every claim you make needs to be backed up by figures and statistics. This means that you will need to complete thorough research before you can design your infographic. You can use information from your own business statistics, Google Public Data Explorer, Google Scholar, government websites, or other reliable data sources. Always evaluate the sources’ credibility and verify the facts and figures before you publish them on your infographic. While you need to base your infographic content on data and facts, you should present it in a colorful and interesting way. People in the age of social media are expecting to be entertained when searching for information. 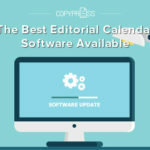 You can improve your infographic’s entertainment value by adding videos, animation, or gif images, choosing interesting colors, or even narrating the content. And of course, you can turn other types of content into infographics, such as customer feedback, social media posts, or even users’ manuals. 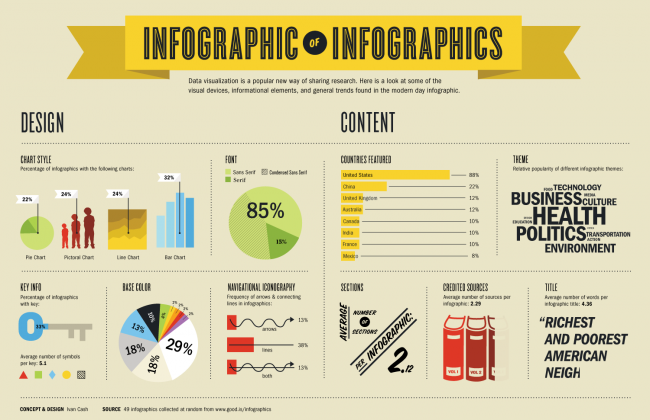 One of the main benefits of using infographics is that it will help increase your brand’s reputation and credibility. 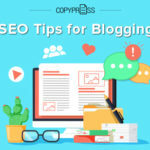 Blogging is a great way to create an emotional connection with your audience, but if you would like to be trusted by your target market, you might want to add infographics. By using credible sources and presenting data in a logical order, you can influence the buying behavior of your target market, and help them make the right decision. 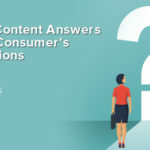 You will be able to provide educational content and value for your customers, who are looking to find out whether the solution you are offering is suitable for them. Instead of presenting a simple sales pitch, you can use data and statistics to convince them that your offer is worth checking out. As you can see, infographics can help you provide more value for your audience, engage with them through images, and even increase your click through rate. At the same time, you can simplify complex issues, educate your market about the benefits of your products and services, and increase your brand’s credibility. With the help of the available infographic design tools or an infographic design service, you can turn your existing content into engaging infographics that are more likely to be read than articles and blog posts.